Due to the system error of TrekNature and other unforeseen circumstances I had to completely miss January on this reborn website, so I can only continue my "New Year, New Species" series (I start every year with posting a photo of a species which is new to TN) now. Thank you very much for all those who commented my previous image, I visit all of your galleries as soon as I can. My choice for opening my 2019 gallery is Snakeskin Brownie (Hypholoma dispersum Quél., syn. Hypholoma marginatum J. Schröt. 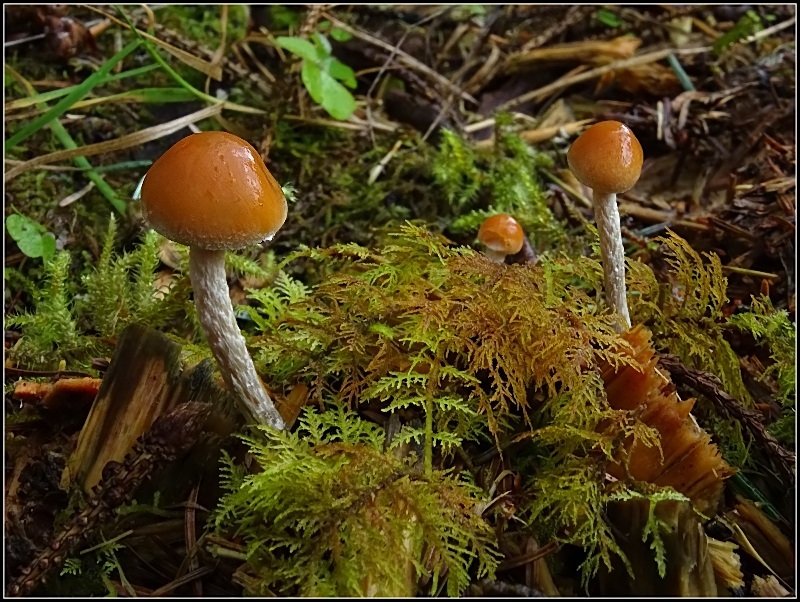 ), an uncommon LBM growing in coniferous forests, usually on decaying wood chips or needle litter (LBM = Little Brown Mushroom). Stem with the snakeskin-alike texture is the most important identification mark, and the species got its common English name (and the Hungarian one also) from this. I found this species, the first time in my life, in last October in Gougane Barra Forest Park, a beautiful hemiboreal-like coniferous woodland dominated by Sitka spruce (Picea sitchensis). Photo: made in manual exposure mode, with the following settings: f/8, 1/15 sec., ISO 250, manual white balance (I see exif infos don't upload automatically to TN anymore). Thanks for looking, have a prosperous new year! خی لی لئی ٹماٹر ک و ک برابر، well exposed and composed. Very beautiful photo in a perfect composition. Great sharpness in splendid natural colours. It has been a long time, hope you are well. It looks very much like Hypoloma fasciculare, maybe I was mistaken with my ident on Fasciculare... hypolomas are very tricky. Best regards from me an Cris. I missed your this picture. Watching your comment just visited your Profile and found this recent post. Well captured this species although Place doesn't look Photo-friendly 🙄. Well details.